It’s common knowledge that South Korea continues to harbor a long-standing animosity against Japan. Although this sweeping anti-Japanese sentiment is rooted in historical and cultural context, it has become a dysfunctional fixation, so that even their young children view Japan with antagonism, without exactly knowing why. 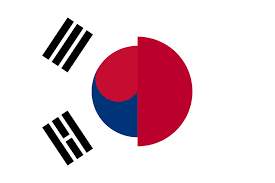 Korea, before it was divided into North and South, was under Japanese rule from 1910 to 1945, when World War ll ended and the East Asian peninsula gained freedom and independence. But WWll also saw the division of Korea into a US-supported South and a Soviet-supported North, and technically, the Korean War has not ended. Although both Koreas allegedly hate Japan, it’s for different reasons. Pyongyang has this idiotic belief that Japan is covertly preparing to conquer Asia again. As for Seoul, its overriding obsession is the comfort women issue. They see Japan as the unrepentant colonizer that took advantage of their women during WWll, turning them into sexual slaves, and not giving a formal apology. Protests and publications highlight the plight of the suffering comfort women, initially within South Korea then spreading globally. The building of statues is one of the many ways that South Korea is using to raise awareness of the issue, hoping to gain the sympathy of foreign nations while simultaneously casting Japan in a negative light. Today, there are five comfort women statues in various states in the US. Around 40 statues have been erected in South Korea, US, Australia, China, Canada, and Germany. Although Seoul keeps on harping on the Japanese government to issue an apology, Japan has as a matter of fact issued countless apologies and regrets over its collective actions during the war. From Emperor Hirohito and Emperor Akihito to the various Prime Ministers and other officials, apologies and retributions have been given. The Asian Women’s Fund in 1994 donated an estimated $45 million for the comfort women. The Kono Statement in 1993 acknowledge Japan’s wrongdoings during the war, including the putting up of comfort stations. More recently, Japan’s Prime Minister and South Korean ex-Pres. Park came to an agreement in 2015 on the comfort women, which included Japan paying $8.3 million to the 46 surviving women. The matter was supposedly irrevocable, but the new Sokor president, Moon Jae-in, did not honor the deal. Many South Koreans and other nationalities opine that Seoul should move forward and build friendlier ties with Tokyo. It would benefit both nations economically, politically, and in the defense field. Japan has extended the olive branch to all countries it fought with in the war. But only South Korea remains steadfast in its hostility and bitterness after more than seven decades. Why is that? One plausible reason is China’s interference. Once called the “sleeping giant,” this communist country is fully awake and eager to rule the world in all aspects. Far-left Chinese activists in California have been fanning the flames of Korean fury, inciting political, socio-civic and women’s groups into erecting comfort women statues and passing resolutions condemning the Japanese for their actions during the war. One such radical is Russell Lowe, a Chinese national who entered the US with his relatives in the 1930s using fake papers. He worked in the office of Senator Dianne Feinstein of California for 20 years, until intelligence officers uncovered him as a left pro-China spy. Although the senator terminated him and denied knowing about Lowe’s background, she and her husband, Richard Blum, have profited immensely from their business dealings with China companies. It’s ironic that Lowe could not be prosecuted for being a political spy because he had no access to classified information, according to the senator. Yet, Feinstein has been, and still is, a member of the Senate Intelligence Committee investigating the Russian interference in the latest presidential election. While working for her, Lowe was reporting to Chinese intelligence on San Francisco’s politics. After being fired in 2013, Lowe became Secretary General of the Education for Social Justice Foundation. In its website, the ESJF states that its project is “educating the public on the Japanese military’s “comfort women” system, which forced over 200,000 girls and women from at least 13 Asian countries into sexual slavery by the Japanese Imperial Army before and during WWII.” Lowe is also active in the Comfort Women Justice Coalition, the Chinese-American group that pushed for the creation of the comfort woman statue at Lincoln Park in San Francisco. Why are the Chinese pushing for comfort women statues to be put up? For one, China is the country that hates Japan the most, with South Korea coming in a close second. China also has ambitions to surpass the US as the global superpower and spread its political ideology. South Korea and Japan are the top Asian allies of the united states. Creating discord between Seoul and Tokyo puts a strain on the US and may help drive South Korea to foster better ties with China. China’s quest to be the greatest is not limited to the economy or the spread of communism. It extends to technology and the military, where Chinese spies proliferate. In IT companies and universities, computer experts, students and professors do research and send the information back to their homeland. China has no qualms about copying and producing tech hardware and software, fake designer label fashion, and popular retail products made with toxic elements. It is building up its military capabilities through training and advanced equipment. In 2016, it raised its military budget to $146 billion, making it the second largest in the world. With China’s encouragement, there’s no end in sight soon for South Korea to stop its anti-Japanism if it helps to promote Beijing’s goal. Marlise is a political & world events writer from the Philippines.